Healthy Fit Goddess: Arbonne Health and Beauty GIVEAWAY! I am trying to use more natural beauty products because they are better for my body and the environment. My friend, Kenzie Cooper, is an Arbonne consultant so I asked her to send me some samples of the products. I must say that I'm thoroughly impressed with the company! Arbonne makes high-quality health and beauty products that are botanically based and inspired by nature. All products are vegan and free of gluten, soy, mineral oils, and paraben. There are 1000 chemicals banned in Europe, only 9 of which are banned in the U.S., and Arbonne doesn't use any of those 1000 chemicals. Arbonne makes products that are at the perfect intersection of science and nature. I value scientific advancement but also think that the most healing power comes from nature. RE9 Advances synergizes 9 major age-defying elements and botanicals in a powerful system of products that are clinically proven to start working within 24 hours. The products include vitamin C, which supports collagen synthesis, and algae extract, which dramatically diminishes the appearance of fine lines and wrinkles. The RE9 Advanced line includes facial cleanser, toner, renewal serum, corrective eye creme, restorative day creme (with SPF), sunscreen, and night repair creme. I sampled all of the products and really liked the way my skin looked and felt all day. I especially saw the difference in my eye area. To be honest, I'm not very high-maintenane with my face mainly because I just forget to use multiple products in the morning and evening. Therefore, I really recommend the night repair creme because it's easy for me to remember to put on before I go to sleep, after I wash my make up off. I was surprised to find out that Arbonne has a line of health products! And best of all, they are vegan and gluten-free! 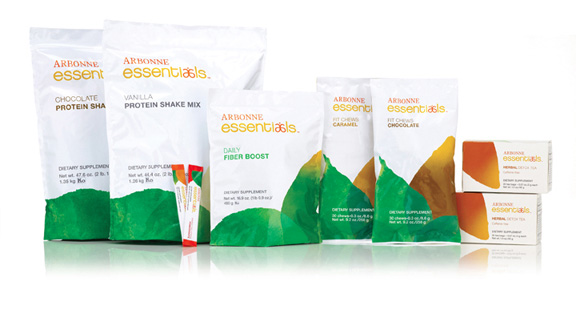 The Arbonne Essentials line makes it easy for you to get all of your vitamins and minerals daily. Only high-quality ingredients are used and there are no artificial colors, flavors, or sweeteners. I was able to try the Digestion Plus powder, Protein Shake powder, Herbal Detox Tea, and Energy Fizz Sticks. There are also many other products in the the line, including some nutrition bars that I want to try! The digestion powder contains vegan enzymes that are essential to optimizing the digestion and nutrient absorption of the food you eat. The protein powder is really delicious and soy-free and also contains additional essential nutrients. It's great in a shake for breakfast! Finally, the energy fizz sticks are prefect when you need an extra boost! The powder quickly dissolves in water and the citrus flavor that I tried tastes great. Plus you won't crash like you would with coffee because the key ingredients are green tea, ginseng, guarana, and B vitamins (a much healthier alternative to energy drinks and things like 5-Hour Energy). 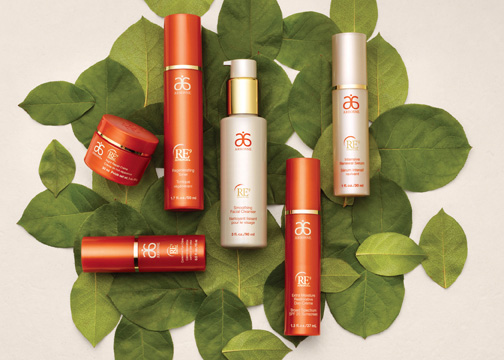 The Arbonne FC5 line includes skin and hair care with groundbreaking technology. FC5 products use plant-based ingredients like kiwi, strawberry, carrot, mango, and pumpkin, to hydrate, cleanse, exfoliate, moisturize, and protect the skin and hair. I sampled, the body wash, body lotion, shampoo, and conditioner. I can tell when products are made of natural ingredients because my skin breaks out otherwise and I get dandruff in my hair. These products are definitely natural and they work. My skin was moisturized after using the body wash and lotion, even though winter just keeps dragging on. My hair was also soft and dandruff-free after using the shampoo and conditioner. One last note, I know that Arbonne products are pricier than what you would get in a drugstore but the high-quality and plant-based ingredients are really worth it. Once you start using natural products, you really see a difference when you go back to an unnatural cheap product from the drugstore. I think that there is great value in investing in your health and beauty now in the hopes of saving much larger amounts of money in the future in terms of medical costs and even cosmetic procedures. Invest now and it will definitely pay later. The good thing is that there are lots of great ways to get discounts with Arbonne. Be sure to follow Kenzie and you can also sign up for the preferred client program where you pay $20 one time and get 20% off the whole year. I've partnered with Kenzie Cooper and Arbonne for a giveaway for my readers! There will be TWO winners. One will get a bottle of the RE9 Advanced Night Repair Creme, valued at $85. The other winner will receive the Chocolate Protein Shake Mix ($60) and a sample of the Pomegranate Energy Fizz Sticks. All you have to do is enter in the form below, leaving a comment on the blog is the minimum for entry. Then, you can get extra entries by following me on BlogLovin, Twitter, Facebook, and Pinterest and by tweeting about the giveaway! You should also follow Kenzie on Facebook and Twitter. Finally, be sure to check out Kenzie's Arbonne website to learn more about the company and buy products. Giveaway ends on Friday, April 12! Open to residents of the United States, Canada, United Kingdom, and Australia only. P.S. You should enter to win even if you're a guy! The protein shake is definitely fit for men and the facial creme would make a great gift for your wife/girlfriend/mom if you don't want it. I hope I win! 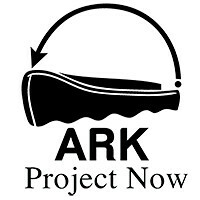 Alawys looking to trying new products. the vanilla protein shake. Its my favorite flavor and I haven't tried their variety. Super awesome giveaway. Would love to try both! I would love to try any of the 3 - though in preference - night repair - protein mix - pomegranate sticks. I love to try new, healthful, natural products. Do I have to pick just one? ;) I'm always on the lookout for the latest and greatest protein & vitamin mixes! I'm always down to try new, healthy products! I'd love to try it all!! The protein shake mix sounds awesome, and I could use the energy fizz! I love their Pomegranate Fizz Sticks! I'd love to try everything! This is a great giveaway with a lots of goodies! I really like the protein mix since I am always looking to try new protein. I'd love to try the Shea Butter Hand & Body Wash. Thanks for the giveaway! All of it sounds great! I've been in the pool a lot lately so my hair could use some extra all natural shampoo and conditioner to counter-act all the chlorine! I didn't realize that the Arbonne Essential products are gluten free and vegan.. I need to try those!